As one of the biggest cities in all of Orange County, Irvine, CA, is currently home to 258,386 residents and counting. It’s not hard to imagine why seeing as the town has been consistently named one of the best places to live in the entire country. Over the years, the city has made a name for itself as a leader in business. Many thriving enterprises have chosen Irvine as their home base over the years, including brands like Stussy, Taco Bell, and Obsidian Entertainment. Students flock from all over the country to attend the University of California, Irvine, whose affiliates include the UCI Arboretum and UC Irvine Medical Center. And the nearby areas are rife with playgrounds and parks, such as the famous Orange County Great Park. Undoubtedly, there’s a lot happening around town. And at Norm Reeves Honda Huntington Beach, we have plenty of used cars near Irvine, CA, to help you get around. Why Choose Our Used Car Dealer near Irvine, CA? We’ve been a part of this community for a long time. And during that tenure, we’ve cultivated a deep appreciation and a sense of pride for all our neighbors and friends. Over the years, local drivers have given us so much. We consider it a goal to give back in any capacity. Sometimes, this means donating to local charity organizations, such as the Children’s Hospital of Orange County. Other times, this simply means providing you with the best automotive experience possible. When you start looking for your next car, you’re going to want choices (and lots of them). 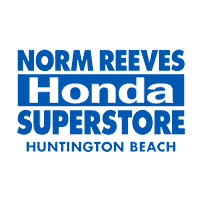 At Norm Reeves Honda Huntington Beach, we have one of the areas most expansive inventories of used, certified pre-owned (CPO), and new vehicles. This is an adventurous area, and you may need a more versatile SUV to get around. If that’s the case, take a look at a used Honda CR-V. Or, if you’re more interested in fuel economy, get behind the wheel of a Honda Civic. The bright and shiny new model might seem like a highly appealing option, and we can personally vouch for the quality of a new Honda. However, the price tag may not be nearly as attractive to you. If that’s the case, then you’ll want to shop our used and CPO selection. Why Should You Consider Used? Buying pre-owned will certainly cut down on price, but that doesn’t mean that it’s going to cut down on quality. When these vehicles come into our possession, we make sure that they’re all thoroughly inspected and cleaned up. In the case of a CPO car, they may be completely refurbished. By the time you get behind the wheel of one of these pre-owned cars, you’ll hardly be able to tell that it’s used! To show you how confident we are in the quality of these vehicles, we also offer the 5-5-5 Used Car Protection Plan. If you find the same model for less within five days or 500 miles, well either pay the difference or buy back the vehicle entirely. With this plan, you should have total peace of mind. Of course, if you buy CPO, you’ll also have a like-new limited warranty. That way, if the road throws any unpleasant surprises your way, you’ll have the coverage to power through it all. Read more about the benefits of buying certified pre-owned! There’s not a single step in the shopping process that we expect you to go through alone. Need advice on picking out a model or features? Feel free to talk to one of our sales representatives. They’re more than happy to answer all your questions about specific features and specs. They’ll also let you get behind the wheel. A test drive is the best way to understand if a car is right for you. Not only that but they’re just plain fun, too. After you test drive, you may have some serious questions about financing. If that’s the case, then you’ll want to sit down with one of our finance professionals. Lay out all your credit or financial concerns for them. It’s not their job to turn people away. On the contrary, they’re here to find a unique solution for you. No matter what your credit history may be, they want to get you approved. After all is said and done, you’ll need to keep your car in great shape. And the best way to do that is with regular maintenance. Our expert technicians know cars like the backs of their hands. Whether you are looking for some standard maintenance like an oil change or filter replacement, or you need a much bigger repair, they’ve got you covered. With all their knowledge and state-of-the-art tools, no job is too big for them. Is It Time to Find a Used Car near Irvine, CA? We understand your need to find a used car as soon as possible. But at Norm Reeves Honda Huntington Beach, we don’t believe you should settle for anything less than excellence. There are few used car dealers near Irvine, CA, that match our wonderful selection of used and CPO cars or our prices. Truly, with all the added deals and incentives that we offer on our website, you’d have a hard time saving more money elsewhere. If you’d like to start shopping today, check out our inventory online. Just give us a call once you find something you like. We’re ready whenever you are!